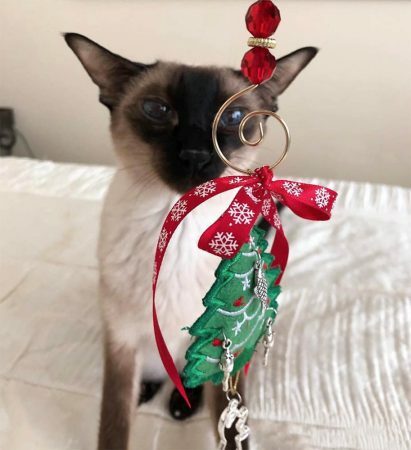 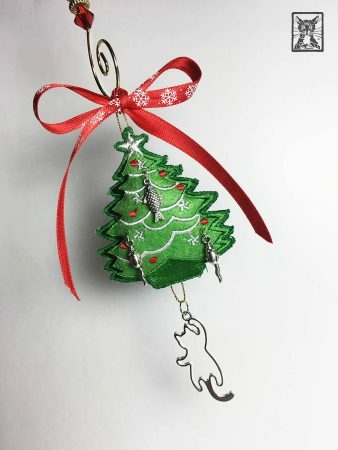 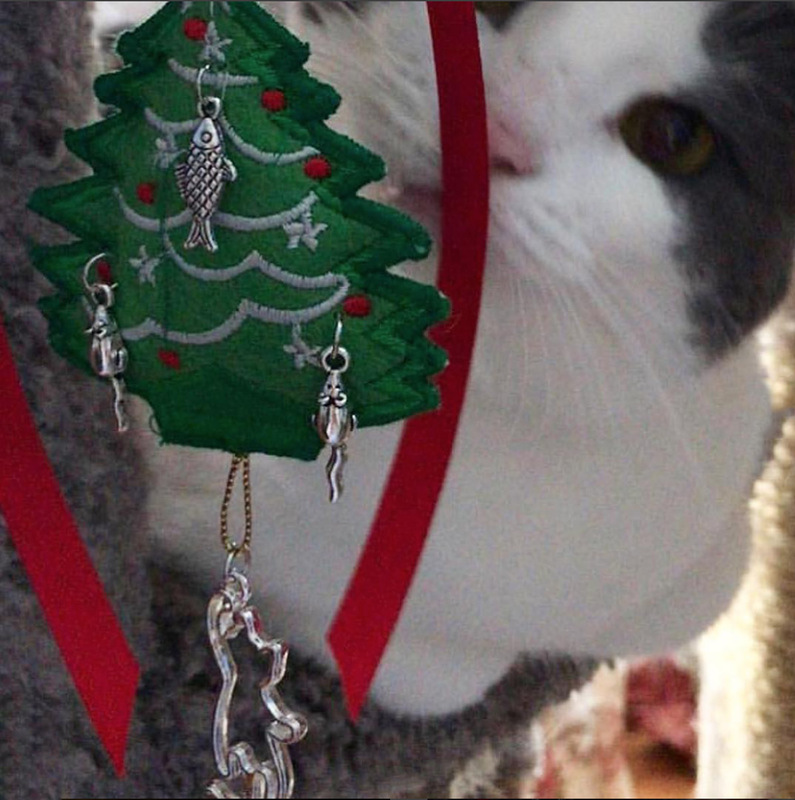 This cat-lover’s ornament is amazing! 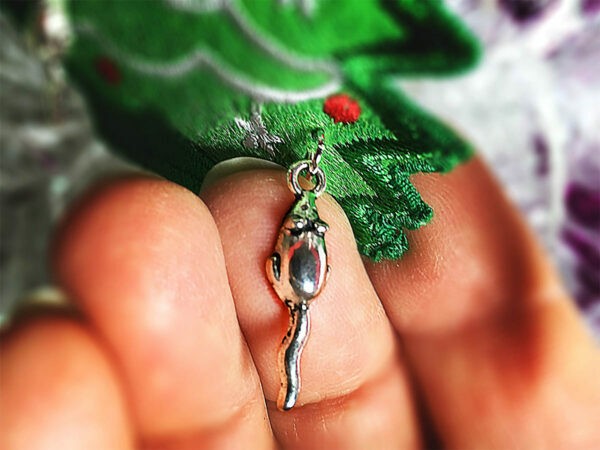 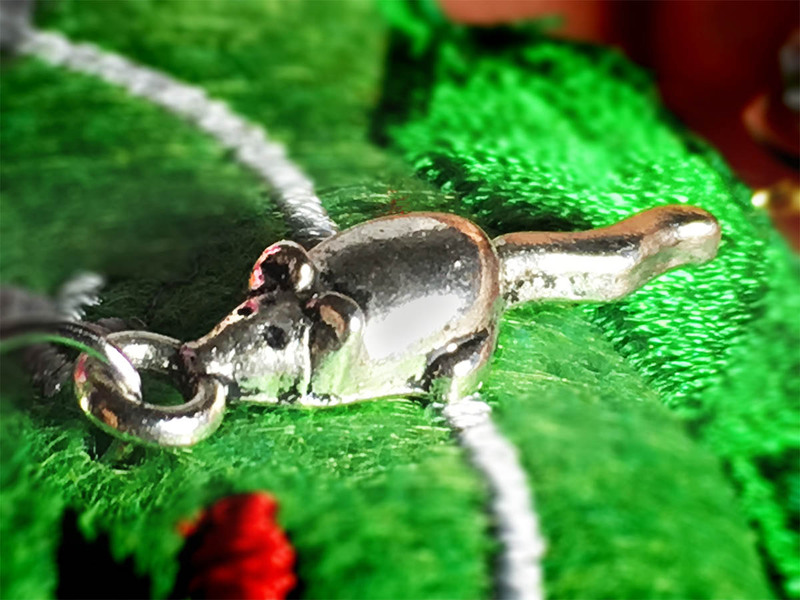 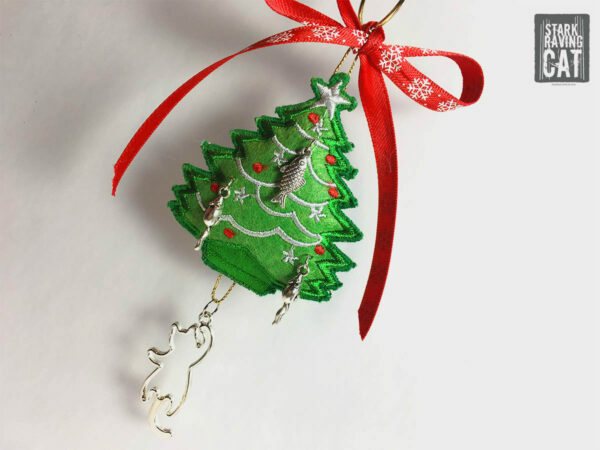 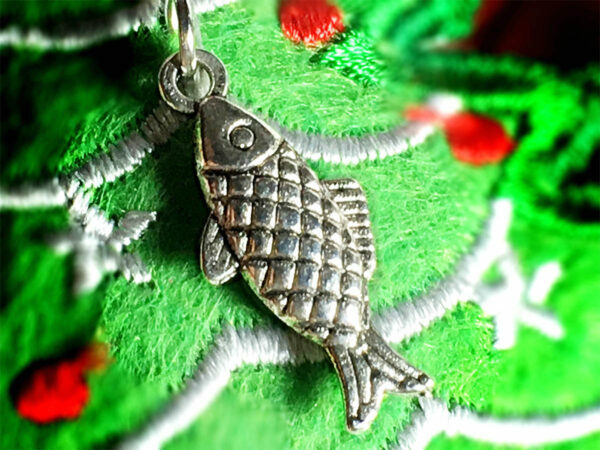 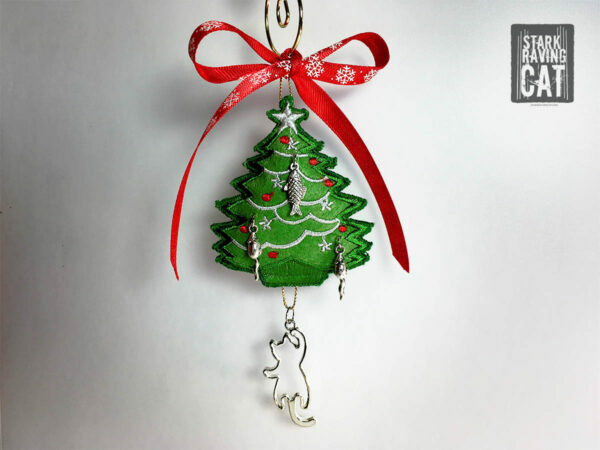 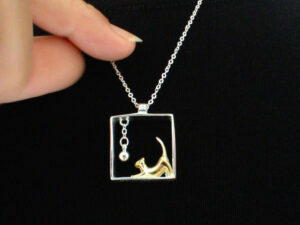 A silver cat climbs a Christmas tree to reach the fish and mice charms, which dangle from the tree on little rings. 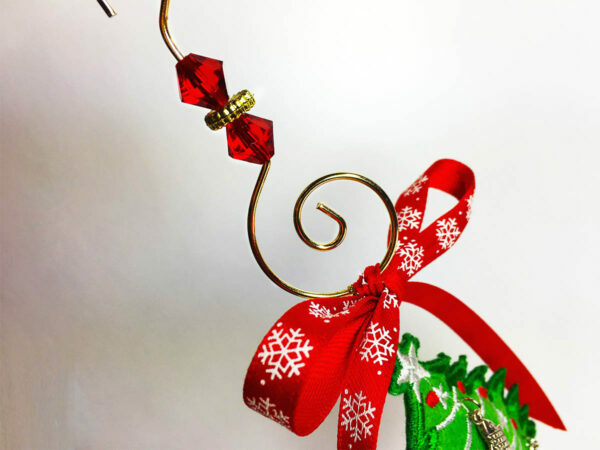 Filled with soft padding, the holiday tree hangs from a golden spiral hanger, topped with a shiny red jewel. 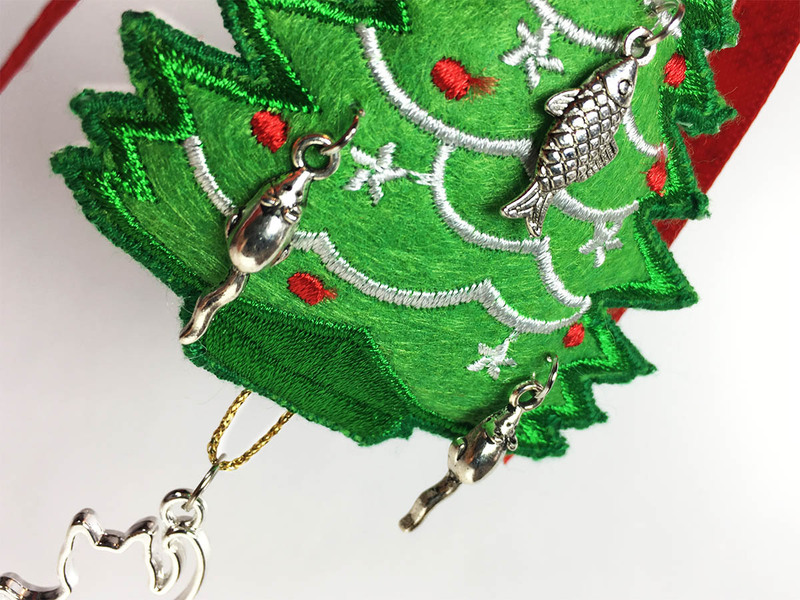 The back of the ornament is the same embroidered tree, without the charms. • Embroidered red balls, silver star and silver garlands decorate the soft, padded tree, topped with a bright red ribbon. • Two-sided: Back of ornament is the same embroidered tree (without the charms). This special handmade ornament is destined to become a family heirloom. 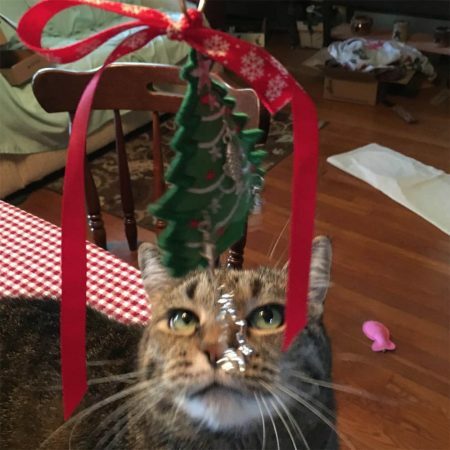 It’s unbreakable – to survive the inevitable Christmas-tree-cat-attack. And it’s sure to bring new smiles (and meows) every year. You can also hang it as a decoration on the front door, or in your home. 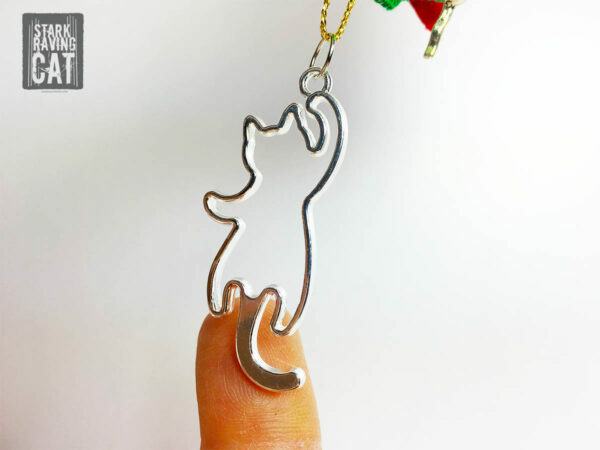 It’s adorable, fun, cheery, and cat-like all at the same time. 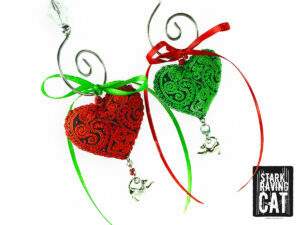 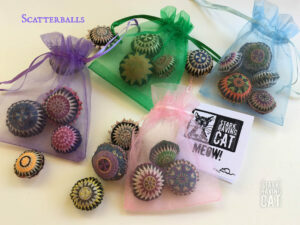 GIFT BONUS: Free Minicard and organza drawstring bag. 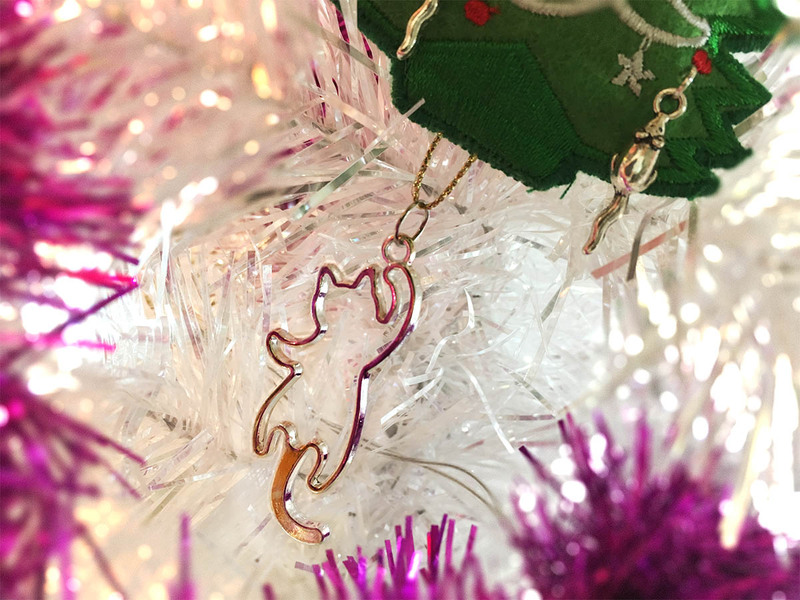 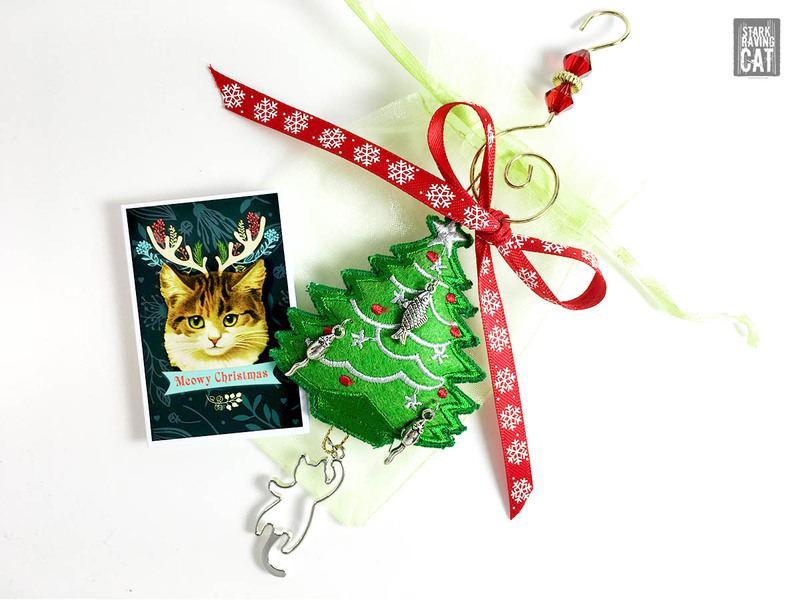 For a limited time, we’ll include one of our exclusive Meowy Christmas minicards (blank inside, 2×3 inches), and a pretty organza drawstring bag. 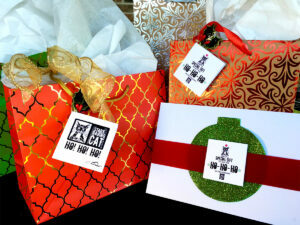 It’s a complete gift, ready to give (we’ll even add your note and ship it directly for you.). 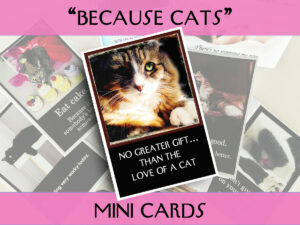 Offer good while supplies last.